With a ringing phone, Jeanne Ray’s charming and amusing new novel gets off to a rollicking start that never lets up. Not for a minute. On the other end of the phone is Caroline’s daughter, Kay, a public defender like her father, sobbing at the improbably good news that the richest, most eligible boy in Raleigh, North Carolina, has asked her to marry him. While Caroline and Tom are trying to digest this, the other phone, the “children’s line,” rings; it is Caroline’s sister, Taffy, hysterical over her husband’s decision to leave her for a woman two years younger than her daughter. Soon Taffy is wending her way up from Atlanta to seek solace in her sister’s home, even though the two have been separated by more than just geography for the past forty years. With her is her little dog, Stamp, who has a penchant for biting ankles and stealing hearts. Tom and Caroline quickly realize that the wedding their future son-in-law’s family is envisioning for nine-hundred-plus guests is to be their fiscal responsibility. To top it all off, the foundation of their home is in danger of collapsing and their contractor and his crew have all but moved in. It’s a thundering whirlwind of emotion that finally boils down to: Who is in love with whom? and Who’s going to get the next dance? Wise, funny, and impossible to put down, Step-Ball-Change is peopled with characters you feel you have known your whole life. It’s the kind of book that you can’t bear to see end. Lord Nevinstoke revels in acting the young wastrel, until his father is killed in a drunken duel. Never one to do anything halfway, Nev throws off his wild ways to shoulder a mountain of responsibility—and debt—vowing to marry a rich girl and act the respectable lord of the manor. Warning: Contains kisses in the breakfast room, account books in the bedroom…and murder in the garden. Featuring a heroine who’s used to settling, a hero who’s used to getting what he wants without trying, and a love for which they’ll both have to fight tooth and nail. A movie with the same name was made. I haven’t read the book or seen the movie. The top review at Amazon says to stick with the sometimes plodding pace. At the same time Adolf Hitler was attempting to take over the western world, his armies were methodically seeking and hoarding the finest art treasures in Europe. The Fuehrer had begun cataloguing the art he planned to collect as well as the art he would destroy: “degenerate” works he despised. 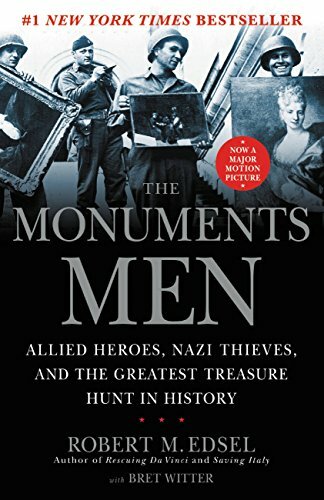 Focusing on the eleven-month period between D-Day and V-E Day, this fascinating account follows six Monuments Men and their impossible mission to save the world’s great art from the Nazis. To you, perceptive reader, I bequeath my history….Late one night, exploring her father’s library, a young woman finds an ancient book and a cache of yellowing letters. The letters are all addressed to “My dear and unfortunate successor,” and they plunge her into a world she never dreamed of-a labyrinth where the secrets of her father’s past and her mother’s mysterious fate connect to an inconceivable evil hidden in the depths of history. The letters provide links to one of the darkest powers that humanity has ever known-and to a centuries-long quest to find the source of that darkness and wipe it out. It is a quest for the truth about Vlad the Impaler, the medieval ruler whose barbarous reign formed the basis of the legend of Dracula. Generations of historians have risked their reputations, their sanity, and even their lives to learn the truth about Vlad the Impaler and Dracula. Now one young woman must decide whether to take up this quest herself-to follow her father in a hunt that nearly brought him to ruin years ago, when he was a vibrant young scholar and her mother was still alive. What does the legend of Vlad the Impaler have to do with the modern world? Is it possible that the Dracula of myth truly existed-and that he has lived on, century after century, pursuing his own unknowable ends? The answers to these questions cross time and borders, as first the father and then the daughter search for clues, from dusty Ivy League libraries to Istanbul, Budapest, and the depths of Eastern Europe. In city after city, in monasteries and archives, in letters and in secret conversations, the horrible truth emerges about Vlad the Impaler’s dark reign-and about a time-defying pact that may have kept his awful work alive down through the ages. Parsing obscure signs and hidden texts, reading codes worked into the fabric of medieval monastic traditions-and evading the unknown adversaries who will go to any lengths to conceal and protect Vlad’s ancient powers-one woman comes ever closer to the secret of her own past and a confrontation with the very definition of evil. 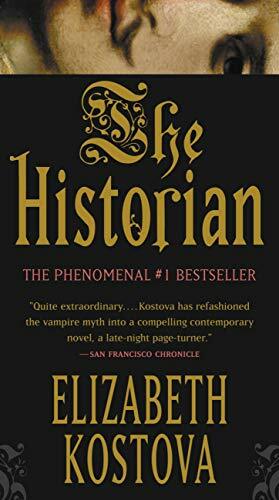 Elizabeth Kostova’s debut novel is an adventure of monumental proportions, a relentless tale that blends fact and fantasy, history and the present, with an assurance that is almost unbearably suspenseful-and utterly unforgettable. One consistent thread to the criticisms was that Kostova loved her details and that the excessive description bogged dow the narrative at times. Oh, THE HISTORIAN — such horrible flashbacks. I have an unquenchable love for Big Fat Literary Mysteries, filled with codes and obscure history and reams of worm-eaten manuscripts, and even I gave up on this one. Dull, plodding, and (when I skipped to the end) a damp fizzle of a pay-off. Otoh, IN FOR A PENNY is a positive *steal* at that price. Love Rose Lerner — understated, smart, and such realistic characters! I too am a fan of Rose Lerner and In For a Penny is one of my favorites. I am delighted to get the ebook for such a good price. 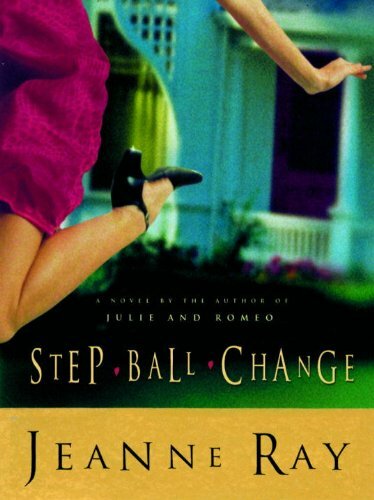 Step Ball Change is great fun, but if you haven’t read Jeanne Ray’s Julie and Romeo, you are missing a charming and humorous love story of two florists from business – feuding families who find themselves surprised by love. I had to grit my teeth and push through on reading The Historian. The first 180 pages were more than I wanted to know about Turkey, Romania and the entire Eastern Europe leadership. It picked up after that but was still rather dry and stale. I think it’s 750 plus pages. I agree about The Historian. Hated it. I started to listen to the audiobook version (for which my standards are never as high as print or ebook because I’m really only seeking something to make cleaning or ironing less boring) but I abandoned it pretty quickly as being both preposterous and dull. On the other hand, I disagree about Rose Lerner (hated her stuff too). I started A Lily Among Thorns with high hopes, having heard good things about the author, but it was a DNF as well. The scenario was ridiculously anachronistic and it just felt all too artificial historical romancelandia for me to stomach. I have become very jaded and grumpy when it comes to European historicals.